Annie Crow Knoll: Sunrise is a story about loss, grief, survival and the healing powers of friendship and nature. Annie is a strong-minded girl, who battles with her secretive mother to uncover the truth about her grandmother's suicide. At nineteen, she goes against social convention and trusts and relies on Bo, her family's African-American friend and her surrogate father, as she struggles to save the community of cottages left to her by her parents. When the family legacy of depression emerges in her early adulthood, and Annie faces estrangement from her husband and young son, will she be able to embrace the love and acceptance that is offered by someone who has been there all along? 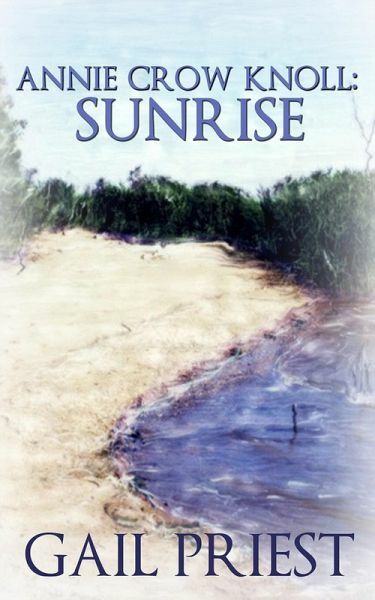 Annie Crow Knoll: Sunrise is the first novel in a literary fiction series by Gail Priest. In this family saga, the ties that bind and tear us apart twine together the people whose lives are changed by Annie's fierce determination and the beauty of her knoll nestled along the head-waters of the Chesapeake Bay.